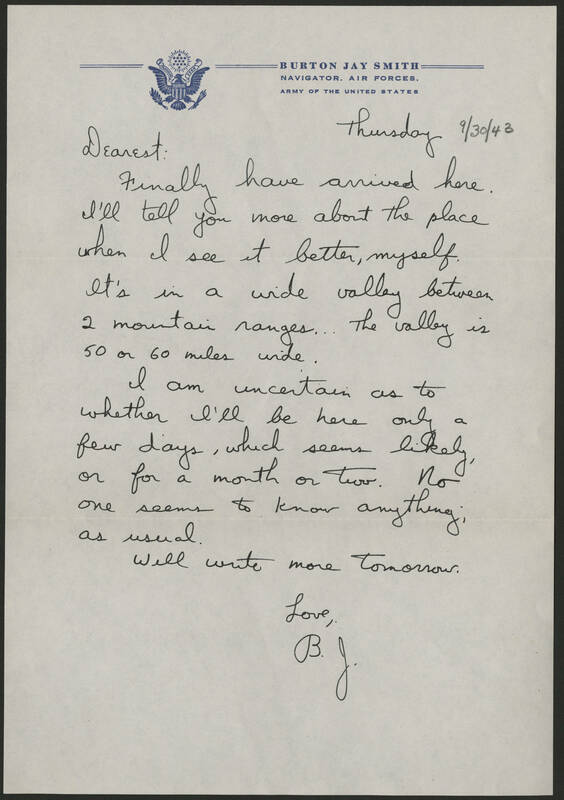 Thursday 9/30/43 Dearest: Finally have arrived here. I'll tell you more about the place when I see it better, myself. It's in a wide valley between 2 mountain ranges . . . the valley is 50 or 60 miles wide. I am uncertain as to whether I'll be here only a few days, which seems likely, or for a month or two. No one seems to know anything, as usual. Will write more tomorrow. Love, B.J.